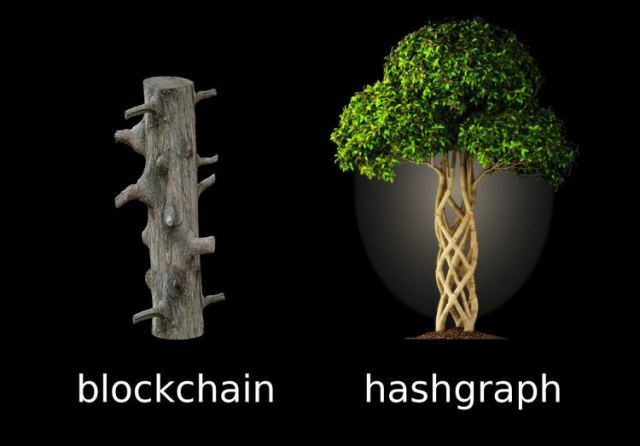 Hashgraph is a new technology that promises to revolutionalize, not just the cryptocurrency world, but also the internet and Internet of Things (IoT) as we presently know it. It is 50,000 times faster than Bitcoin, processing about 100,000 transactions per second compared to 3-7 transactions/sec for Bitcoin's PoW. It is worth taking note of...for the future has come. And the Church should be prepared to use it in attaining true cashlessness in order to eliminate lack, and redistribution of resources equitably and securely. However, Hashgraph will not only allow unfettered redistribution of value created by a ''privileged few'' in the society (as blockchain allows), it will MAKE EVERYONE AND ANYONE TRULY VALUABLE- individually able to create value, and then give out that value (or part of it) without needing or using money or supercomputers, as a means. I believe you can see why I am so excited now.